An EP is a great starting point. Follow that with playing WJJO 94.1 Sonic Boom Sound Lounge and Taste of Madison in 2017, and you are ready to lay down your very first full-length CD. Revolution-X did exactly that when they celebrated the release of R-Evolution last month with two rowdy release parties. Having spent the last few years honing their sound, the four members of Rev-X overthrew the standard metal sound with Producer Paul Schluter at Megatone Studio. 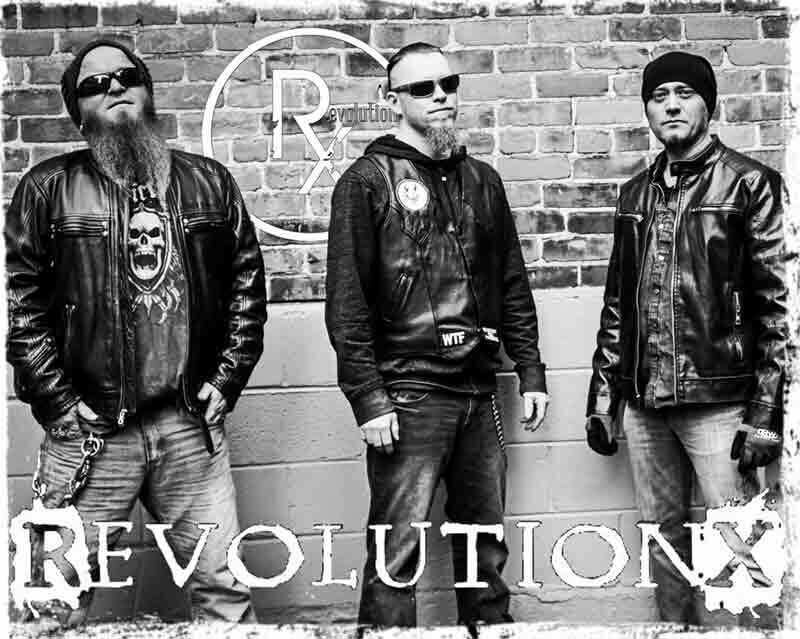 Guitarist Danny Tableman, along with Jay Austin (bass), Scott Wallace (drums) and Dan Swanson (vocals) expanded from their original 5 song EP to highlight an all-inclusive sound, with 9 brilliant tracks on R-Evolution. Trust me, you’re the only one who will need to take some time off and rest after you check out a Revolution-X show or crank up their newest CD: R-Evolution. A true metal riot for your headphones. Catch Revolution-X in September on the 14th at the Back Bar in Janesville with Bobaflex and the 29th at the Red Zone/Annex with Ultrea.